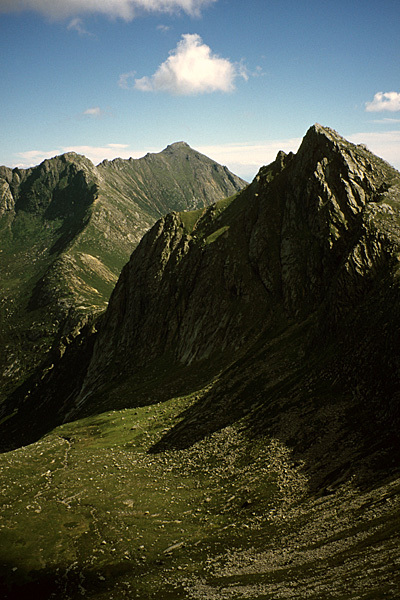 Goat Fell and Cir Mhor rise on either side of The Saddle in the most rugged part of Arran. 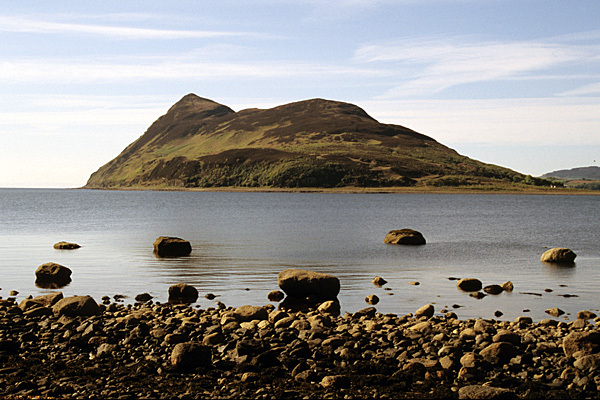 Holy Isle, in Lamlash Bay, is home to a Buddhist community and can be visited by ferry. Walkers take a break on the steep and rugged ascent of Suide Fhearghas. This guidebook was requested by Cicerone, covering the whole of an island that has long been referred to as 'Scotland in Miniature'. The idea was to produce a comprehensive guide to a rich variety of routes. All the route research for the first edition was done in one long trip. Walking routes were checked the length and breadth of Arran, including the rugged mountains in the north, the lower hills in the middle, and the forests and moors to the south. Regular bus services run around and across the island, and these were used exclusively during the route research. In a review for the Mountaineering Council of Scotland, Kevin Howett said, "I have to admit to being impressed by the amount of information contained in this little guide." The guidebook was completely overhauled for the second edition, with all the original routes being walked and checked, as well as a few new routes adding. The book was re-published in full colour, with the walking routes highlighted on OS Landranger mapping. Again, bus services were used exclusively for travel around and across the island, apart from the ferry service to and from Holy Isle. The guidebook was checked yet again for the third edition, with the addition of an extra route. Two recent developments are worth mentioning. 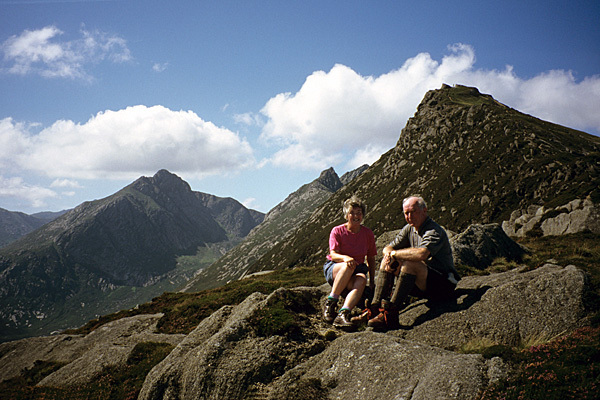 The Arran Coastal Way completely encircles the island, while the Arran Outdoor and Walking Festival now encourages visitors to explore the island in the company of knowledgeable local guides.